In a Nutshell: As values of cryptocurrencies like Bitcoin increase, demand by investors to get in on the cash cow also grows. News organizations that normally ignore digital currency now recognize the budding power of crypto-keepers and the miners that keep the infrastructure sustainable. A trio of Columbia Business School professors have extensively researched the topic and detailed their findings in a recent paper, Monopoly without a Monopolist: An Economic Analysis of the Bitcoin Payment System. Findings show that the congestion experienced in the system is a key component to the infrastructure’s thriving nature. 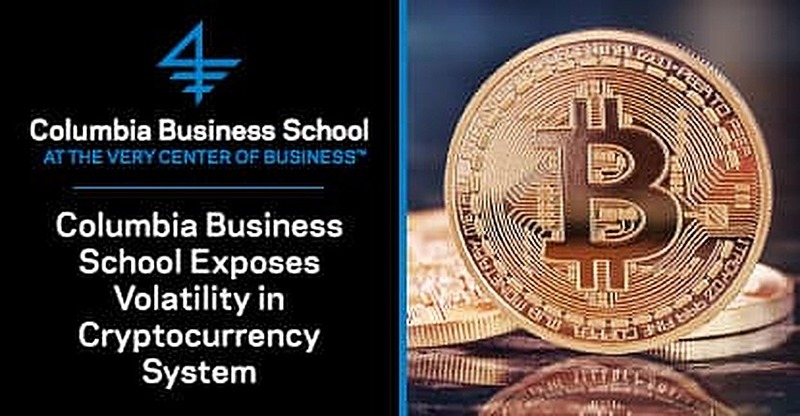 For the boom to continue, the team of researchers suggest that the digital currency system needs to undergo changes that, among other things, make it a reliable system capable of duplication. A decade ago, if you visited a big city and didn’t want the hassle of driving or parking, you’d go to the corner and hail a taxi. The licensed cab system’s worked for more than a hundred years and continues to thrive today. But without competition, taxi companies have the power to set prices and fees however they want. That’s what led to the creation of ride-sharing services, like Uber and Lyft, that have taken a service once provided by a large company and have given power to many individuals to act as distributors. The revolution in transportation is similar to one taking place in the world of digital currency. Consumers are relegated to whatever their native form of payment is. Creators of cryptocurrencies like, Bitcoin, Ether, and Litecoin, want to give new options to the next generation of spenders and savers. Growing pains could slow the expansion of the technology. Without proper attention, the system flaws could derail the entire infrastructure and make the coins as valuable as the Pogs you kept hidden in a box under your bed back in the ‘90s. The first real-world Bitcoin transaction took place in Jacksonville, Florida, in 2010 when a user traded 10,000 Bitcoins for two Papa John’s pizzas. At the time of publication, the same 10,000 Bitcoins had a value of $70,819,900. That’s a lot of extra toppings. Bitcoin is up more than 786% from January to November 2017. The bandwagon gets heavier each day as new investors hop on. The presence of these prospectors makes the once-stable network for trading Bitcoin crowded and slower to navigate. With congestion at an all-time high across all digital networks that support the blockchain infrastructure, you’d expect Bitcoin to alter its systems to accommodate the demand. Think again. 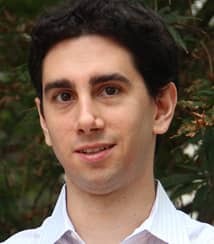 In a new research paper, Monopoly without a Monopolist: An Economic Analysis of the Bitcoin Payment System, authors and Columbia Business School professors, Gur Huberman, Jacob D. Leshno and Ciamac Moallemi suggest that congestion is key to one of the lone revenue streams the currency has. The premise of cryptocurrency and blockchain technology relies on there being no oversight or governing body to undermine privacy. To keep the infrastructure thriving, miners are used all over the world. Miners, who can be anyone with access to a computer, allocate resources in their system to process the many transactions that take place on a daily basis. As compensation, they’re awarded small pieces of the coin they’re mining. These coins are mostly funded from the transaction fees that users pay when congestion is high. Mining started out as a hobby to most, but as the rewards increase, the hobby is shifting into a career. So the miners, who are the backbone of the entire infrastructure, depend on transaction fees. Without congestion, there are no fees and the system collapses. To avoid future problems, the trio of researchers suggest changes to the way the infrastructure runs. These include the creation of smaller, more frequent, transaction block sizes. That goes against the status quo, where blocks are mined, on average, every 10 minutes. It also suggests a dramatic adjustment to the network throughput to maintain a target level of congestion to keep miners happy. More than 1,100 cryptocurrencies are available over the internet. As prices increase, that number will surely grow. While many currencies are worth only fractions of a cent, one coin claims the spot as tops in the hearts of digital traders everywhere. Jacob says it’s technology that will decide the future of Bitcoin and thousands of currencies like it. Jacob D. Leshno, Researcher and Columbia Business School Professor. That hope extends across the globe, where digital currencies are slowly being adopted by retailers and service providers who share the same hopes for their future value. Ironically, Papa John’s is not one of those retailers. Until the infrastructure issues are addressed, many worldwide corporations remain on the sideline and away from the crowd rushing to cash in. “Most of the same methodology applies to the many types of coins today,” Jacob said. “Some have slight variations on how they fund themselves or how they set their transaction fees. There are a lot of interesting innovations, but still a lot of work to do. Cryptocurrency – A Repeat of the ‘90s Tech Boom? Jacob’s years of research on cryptocurrency led him to the conclusions published in his study on the future of the technology. 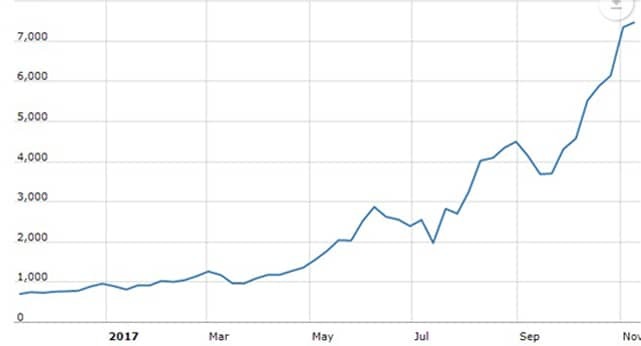 The rise of Bitcoin and other currencies, he said, mirrors another bubble that took place two decades ago. When Bitcoin was introduced in 2010, it was ahead of its time. As prices inflate, and interest grows, its technology will be tested like never before. The response will factor greatly into future valuations of the various currencies. What will remain, though, is the independent nature on which the currencies were founded and remain rooted. Evolution is a part of business; the taxicab, once dominated by pushcarts, moved to diesel engines and apps that can schedule a ride months in advance. The process worked, and the business model earned profits. Further advances occurred when competition from services like Uber and Lyft were introduced. If Bitcoin is to retain its independence, similar pivots have to be discussed by those who run the foundation of the system.